Markree Castle, the Cooper family home for 370 years, has been lovingly restored by the current owner Charles Cooper and his wife Mary to become one of the finest country house hotels in Ireland. Set in a secluded 500 acre estate in County Sligo, peace and relaxation combined with good food, fine wine and old-world charm make a stay at Markree a step back in time. The only castle hotel in Sligo, Markree is a truely unique hidden gem in the heart of Sligo- the only place to go if you are looking for Sligo accommodation with a difference or a Sligo hotel with genuine character. Markree Castle offers a quiet and relaxing atmosphere for get-away breaks and its location, in the heart of the countryside that inspired the great poet and playwright W.B. Yeats, makes it an ideal ‘home-from-home’ for longer stays. 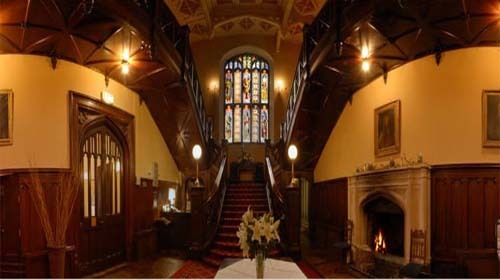 Markree Castle is one of Sligo’s best loved hotels and a perfect place to spend your holiday in Sligo and the north west of Ireland. 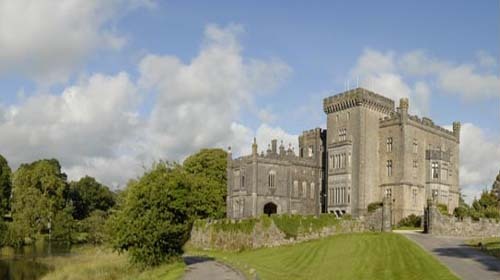 A castle since the 14th century, with the most recent redesign taking place in the late 1800s, Markree is a cultural gem where the very finest in Irish Victorian and Georgian architecture is to be seen. Stay in casual castle comfort and style at this unique Sligo hotel and restaurant. Remember, we are a pet friendly hotel- dogs welcome! For 350 years the Cooper family have been living at Markree Castle. Their story is a journey through time, starting in the 16th century with the invasion of Ireland by Cromwell. The young officer, Edward Cooper, was serving under Cromwell when his army defeated the mighty O’Brien Clan. O’Brien himself lost his life in this battle and Edward married his widow Máire Rua (Red Mary). With her and her two sons he went to live at Luimneach Castle in Limerick, which is now a ruin. She had her two sons take the name of Cooper as protection from the English invaders. Cromwell’s army marched on, further northwards in spite of the fact that he did not have the means to pay his officers. Instead, he gave them large pieces of land. Thus, he gave Markree Castle and the surrounding grounds to Edward Cooper. Markree Castle offers the very best in castle hotel accommodation in the North West of Ireland and is the only castle hotel in Sligo. One of the longest estabilshed Sligo hotels, our delightfully appointed guest rooms, together with the cosy authentic old world atmosphere of the castle, make any stay unforgettable. Whether enjoying afternoon tea in front of a roaring fire in the lounge, or gazing at the breathtaking views from your bedroom, one thing is certain- that you will be able immerse yourself in the culture, history and luxury of this stunning location. If you are looking for a hotel in Sligo why not sample the best in casual castle comfort with one of our short break packages or specials. Meals are available to residents throughout the day, and dinner, served every evening in our renowned restaurant is not to be missed. You will awake each morning to a full Irish breakfast where locally made, award-winning sausages and homemade brown soda bread are served- Markree is the ultimate, authentic, castle experience. Our chefs’ experience travelling and working all over the world is seen in the unique and authentic cuisine at Markree’s Knockmuldowney Restaurant. Here they combine world tastes with only the very best in local ingredients to create a menu of gastronomic delights that will tempt every tastebud. Woodcock and wild fallow venison from the Markree estate are a seasonal specialty. Dinner is served nightly in the breath-takingly romantic Louis XIV dining room, where tables are always reserved for residents. Non-residents are always welcome with prior booking- a perfect evening out for an intimate meal for two or a larger party. A light lunch and afternoon tea of homemade cakes, scones and biscuits are available in the gallery lounge daily from 12 to 6. 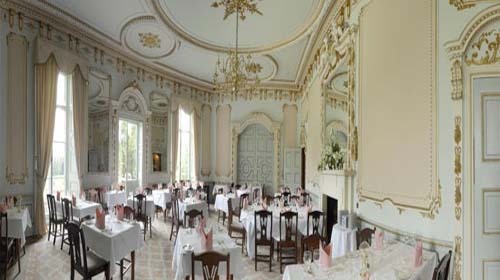 Markree Castle is the ultimate romantic, exclusive venue for the celebration of a lifetime. 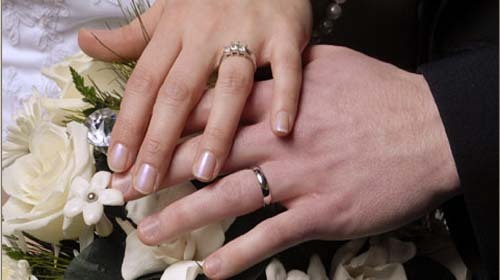 World renowned as one of Ireland’s premier wedding locations, we are thrilled to offer you our services to help make your big day unique and unforgettable; guaranteed to be the best day of your life. The beauty of the castle’s authentic Victorian atmosphere, the grounds and surrounding countryside make an unparalleled backdrop for the most romantic of celebrations. Use of the castle and gardens will be reserved for you and your guests alone, making for the ultimate, unique celebration of your new life together. You and your guests will be treated to the best in Irish country house cuisine, fine wine and fantastic service from our experienced and professional staff. As well as being boasting the finest in Irish Victorian architecture Markree Castle is also famous for its wonderful estate and gardens. Situated on 800 acres on unspoilt park and woodland. The river Unsin, one of the cleanest in Europe is home to otters and kingfishers as well as a whole host of other wildlife. The estate has recently been included in studies of rare Daubenton’s Bats and native Irish Red Squirrels (which are regularly seen in the surrounding woodlands). Early morning walks in the grounds will afford glimpses of foxes, badgers and hares as well as fallow deer. Our resident flock of Wensleydale sheep add a touch of domesticity to this wildlife haven. As well as providing a haven for Irish wildlife, Markree Castle boasts some of the very best in Victorian garden design. A garden-lover’s delight, Markree plays host to a number of interesting and beautiful plants in its herbaceous borders, shrubbery and beyond. The newly planted Winter Garden as well as the current restoration work on the Victorian Rockery attest to the continuing development of what has to be one of the finest gardens in the northwest. Markree is an ideal location from which to explore the Sligo area as well as for making day trips into neighbouring counties of Donegal, Leitrim and Mayo. Markree Castle is a base from which to make drives and walks that take in the beauty of the Sligo landscape that inspired WB Yeats. From climbing up to Queen Maeve’s grave on the top of Knocknarea, to watching surfers from the comfort of a beach-front pub in Strandhill to a visit to historical Lissadell, we would be happy to help you plan the particulars of your day trip. Horse riding is available on the estate and clay pigeon shooting and archery can be arranged in advance. Sligo is a mecca for golfers with no fewer than a dozen of Ireland’s top golf courses within easy reach of this Sligo hotel. The castle offers a relaxing and peaceful haven to return to after a busy day’s touring while its home-from-home atmosphere makes it a comfortable and cosy base.